One of the most incredible things about dance music is its never-ending search for innovation;new sounds, new styles, new projects, always moving forward. KO:YU is an artist who embodies that ethos. 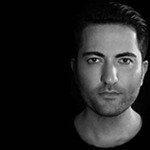 Previously known under the name Deniz Koyu – a shortened version of his birth name –KO:YUhas already achieved far more than most. But his new project is set to be the most exciting step in his musical career since he laid his hands on piano keys at the age of five. A true perfectionist, KO:YU’s curiosity was piqued at a young age and his formative years saw every penny of his pocket money spent on second-hand synths and drum machines. By age sixteen Deniz had learned his craft with the software package Reason, and began writing lounge music singles for this friend’s web design agency. His first forays into music appearing on their clients’ websites. This initial taste of a professional music lifestyle fed his obsession, and Deniz was hooked deeper into the world of making his own sounds. It wasn’t long before he began to go out to local house music clubs in Germany and his perspective on the music he wanted to make changed forever when he handed a demo CD to the resident DJ and had some of his early tracks signed. Fast forward a few years and Deniz’ profile has exploded! Thanks to hit records, released via Spinnin, Protocol and Axtone, including collaborations with Alesso, Dimitri Vegas & Like Mike, Fedde Le Grand and remixes for Zedd, David Guetta and Miike Snow, KO:YU has become one of dance music’s most respected producers. KO:YU counts the likes of Calvin Harris, Avicii, Tiësto, Swedish House Mafia, Nicky Romero, Hardwell and more among his biggest fans, and the DJs line up to support his music in their DJ sets. Not only a producer, but an incredible DJ in his own right, KO:YU has performed at the world’s biggest festivals and most iconic clubs. Clocking up hundreds of shows over the past few years, KO:YU has brought his unique style of dance music to the world’s most iconic festivals and clubs, including Tomorrowland, TomorrowWorld, Creamfields, Electric Zoo, Ultra Festival Miami and at the world’s #1 club, Green Valley.He’s been an ambassador for Sensation White, representing them across the globe, while holding down not one, but two residencies at Wynn in Las Vegas (XS, Surrender and Encore Beach) alongside his residency at legendary Privilege Ibiza. Itching to create something fresh and to keep his sound moving forward, KO:YU’s new material is the culmination of years of practice, plus a refreshing feeling of inspiration. One listen to his debut single under the new moniker, ‘Don’t Wait’ ft. Example gives you an idea of what to expect. A true perfectionist, KO:YU’s new material incorporates heavy and infectious pop hooks with cutting edge sound design that is destined to bring him to even wider audiences and even greater acclaim.